Nestled near Utah’s St. George, the Zion National Park is the small world in itself for a complete recreation holiday in wild! From the airport at Las Vegas, it is just accessible in 1.5 hours drive and is open all 365 days. Attracting countless visitors with the cameras, the park is the top attraction in the southwest. The Zion National Park is the home of a myriad of natural wonders such as giant slot canyons, hanging gardens, soaring cliffs, soaking springs, and emerald pools. 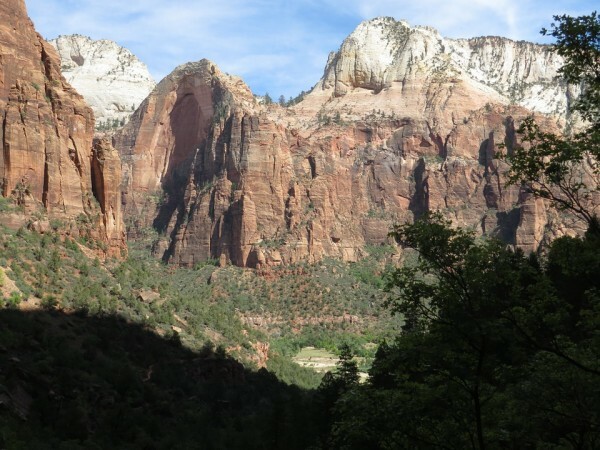 This sanctuary is aptly named Zion by the early Mormon settlers as in their belief; Zion means a celestial site close to the god. Being nestled at the confluence of the Colorado Plateau, Mojave Desert areas, and Great Basin as well as centered on water; the park’s varying landscape has become the home of the unusual floral as well as faunal diversity. People of all ages can enjoy here. Besides the visitor centers, restrooms, museum and Zion Lodge, a shuttle runs throughout the park to take you on a loop trip for 1.5 hours if you come between April and October. This points out the fact that vehicles are not allowed during these months from the Visitor’s Center. To avoid the line, think of boarding a shuttle in Springdale. 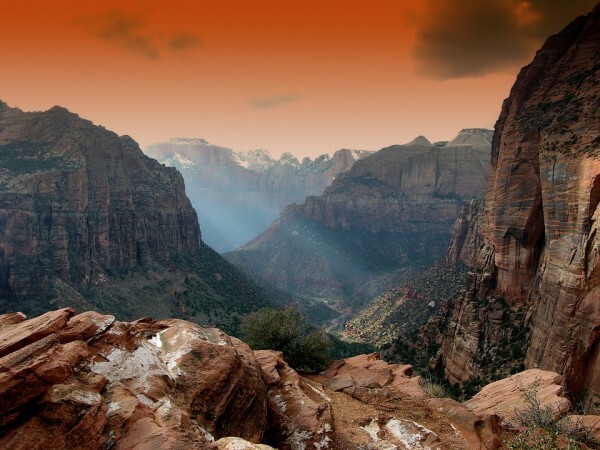 With the shuttle ride, you can spot all the trailheads and attractions in the Zion National Park. For the adventurers, hiking is the best activity here. There are trails for levels here such as The Riverside Walk as easy one as well as Angel’s Landing as difficult one featuring chains set in the rocks. You can also go for backcountry hiking, but that is restricted. You can explore these trails via the shuttle that departs early in the morning from the Visitor’s Center. There are seven trails of 30 (Weeping Rock) to 60 minutes (Angels Landing). In the famous Kolob Canyons, explore the two trails namely, Taylor Creek (4 hours) as well as Kolob Arch (8 hours). Above all, hiking up till The Narrows from the Temple of Sinawava is a must in summer. Climbing on the sandstone cliffs is only for those who possess advanced skills and can deal with the high tech equipment. Inquire about it at the visitor center. From March to October, guided horseback riding is fun, but reservations are required, which is done at the lodge. Water sports are thrilling on creeks as well as rivers, but a backcountry permit for watercraft is needed and that the inner tubes are not allowed. There are museums to visit in the Zion National Park where the Visitors Centers offer several exhibits as well as book collections. The Zion Human History Museum is the holder of the permanent exhibits that reveal the human history of the park, while the museum displays the historic pioneer settlement and American Indian culture. Do also explore the Zion Canyon Field Institute where the naturalist led hikes are quite exciting during the workshops. Educating as well as inspiring the guests, the workshops are held in and around the park. In the Zion National Park, the Zion Lodge is the sole hotel offering two eateries where the rates start from $3. However, the Springdale town, close by, offers a plethora of hotels as well as restaurants. Another option of stay inside the park is camping. There are two developed campgrounds that feature few electric hookups. One of them is South Campground that operates on the principle of first come, first served. During the peak times, you need to come here before noon as it is packed since early hours. The other one is the Watchman Campground where reservation is necessary. Both are open for RV and tent camping, but do not have showers. Backcountry camping is also possible, which is in a primitive area having strict regulations. A permit is required for $5.00 per person per night with the limited size of 12 people. And yes, campfires are not allowed here. Spring and autumn, as the temperatures are pleasant.